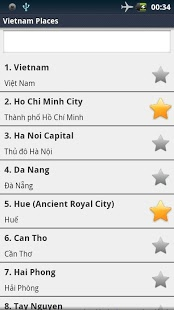 Vietnamese Assistant (VNA) is the first mobile-based audio and visual phrasebook specially designed for tourists in Vietnamese. With ultimate portability and convenience, VNA provides traveler with instant access to just the right phrase. – High quality audio recordings by native speaker. The voice are very close, clear and standard so that you can learn by repeat. – Sentences are displayed in forms of both English and Vietnamese. – Tips specially designed for foreigner in Vietnam, easy to use, easy to learn. For suggestions and asking assistance, please send an email Mekong89@gmail.com or Mobile: (+84)973.771.433 (Mr. Nhan). We love getting feedback from users of our apps. If you like this app and find it useful please take a few seconds to give us a rating in the Play Market. Thank you for creating conditions for us to serve you better!